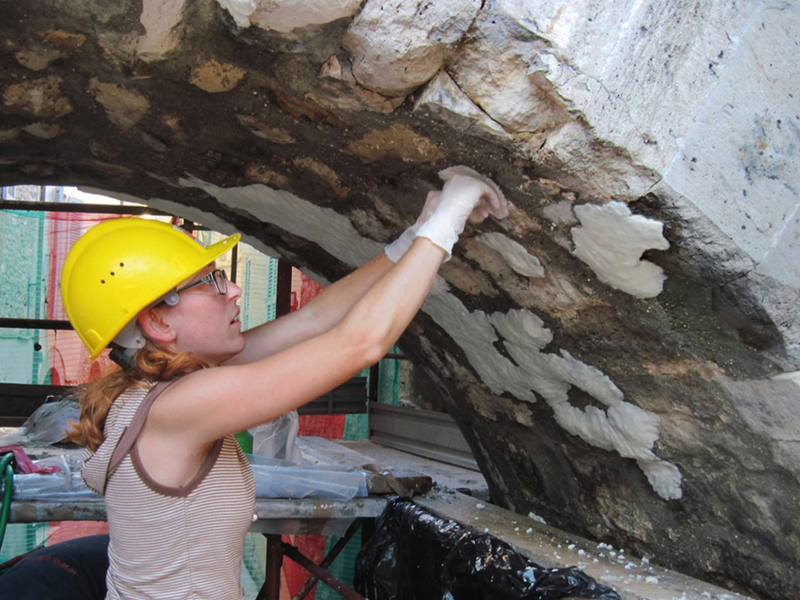 San Gemini Preservation Studies is a summer field school, now in its 20th year, that organizes lectures, research, fieldwork, workshops and field trips in the disciplines of historic preservation, restoration and conservation. It is located in Central Italy in the city of San Gemini. In 2018 there have been some major new developments for our SGPS program. An academic relationship has been established with West Virginia University that offers our students the opportunity to apply for and receive credits through the WVU Art History Department. Also, in 2018, a significant 3-year cooperation agreement has been signed with the Office of the Ministry of Cultural Heritage for the Abruzzo Region to study and conserve archaeological objects held in their museums, as well as a collaboration with the Historic Archives of the Dioceses of Terni for SGPS participants to study and conserve archival documents.